Here you will find out a little about our cycling club, what we are up to and where our club racing takes place. Unfortunately, due to time constraints the website will not be updated particularly frequently. For the latest on what we are up to please look at our Facebook page and Twitter feeds by clicking on the links at the top of this page. The Facebook page will generally be the most up to date. 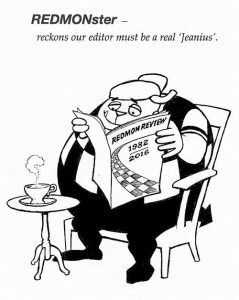 The Redmon Forum will no longer be used as the software is no longer supported, although the link will be left above in case you wish to refer to it. The Redmon Forum has now been switched off and deleted. The software was old and could not be updated. Unfortunately, because of this we were hacked, and consequently it cannot be reinstated. Will all members please note that their subscriptions are due for renewal on 1 October 2018. It would help the committee if you renew your subscriptions promptly, so not to waste our time chasing up. The subs can be renewed on line (see the link above) or by post to the treasurer, by downloading a membership form from the same page. The April newsletter has been published. CLICK HERE to download and read it. You will need Acrobat Reader as it is in PDF format. Great news! We will be running a full programme of club events this year. We will have a full progamme of even 10s and 15s, albeit starting a little later in May, running through to the Hill Climb in August, plus an open 10 in May and the Grand Prix in August. The first event is Thursday 2 May on G10/42, first rider off at 7:30pm. Our Club Open 10 is on 11 May, and we need help. So calling all Redmon members, if you haven't volunteered yet or entered to ride, please do so before its too late. The organiser is Richard Hoskin, so let him know asap if you can help.